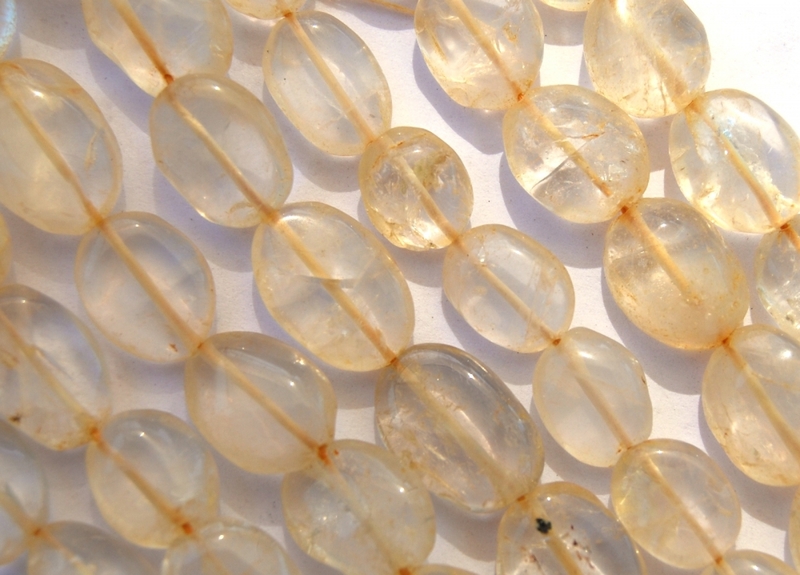 Clear citrine flat oval beads. 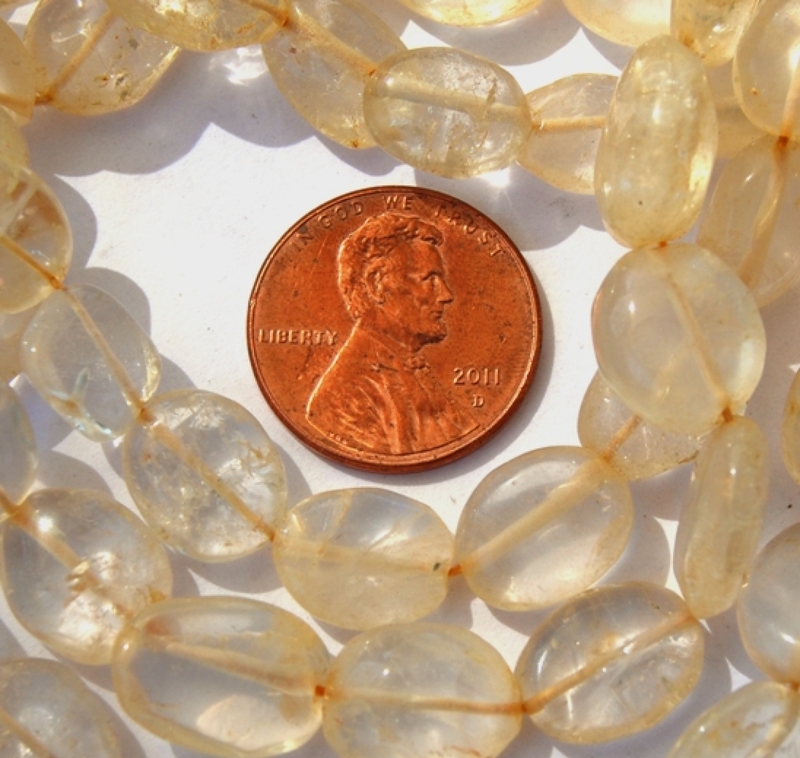 These are hand cut in India and vary in size from 10-15mm long x 7-12mm wide x 4-6mm thick. Drilled lengthwise. Beautiful as an accent mixed with other beads, too! You will receive beads randomly selected from those shown.